22 Nov 2017 Teresa B. 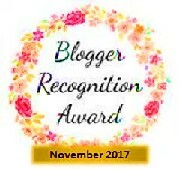 First, I want to thank Jay Pines, the blogger behind Scribbled To Paper, for nominating me for the Blogger Recognition Award! His mix of poetry, prose, and photography creates engaging content for readers of all tastes. Be sure to check out his work, and comment freely. Jay is active in his responses, and overall, a nice guy to chat with! 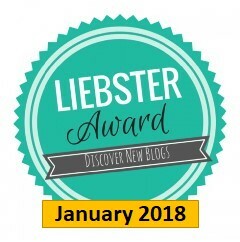 Select 5 other bloggers you want to give this award to, and comment on each blog to let them know with a link to your award post. Ever since my first run through college in the mid-90’s, I wanted to be a writer, even though English was not my major until 2017. Despite that, I kept on writing, for purely personal reasons, not sharing my thoughts or work with anyone. I wrote in total isolation. After obtaining my Masters in English earlier this year, I bounced the idea of writing a blog off my loved ones. My husband (the truest fan a woman could ever have) told me to go for it. So I did it, and Armed With A Keyboard was born on the internet! Six weeks later, here I am, writing this post because another human being recognized and enjoyed my work! First, write from the heart, and write often. Write what you enjoy writing. Don’t hold back because someone somewhere told you what you have written wasn’t good enough. This approach to writing your blog will bring not only personal success, but a great sense of happiness. Go for it. I look forward to reading it, as well as your next installment on Friday! Nice one! I like how you mention that the blog is not just about trying to create one that’s successful, but the personal happiness you can get from writing one!